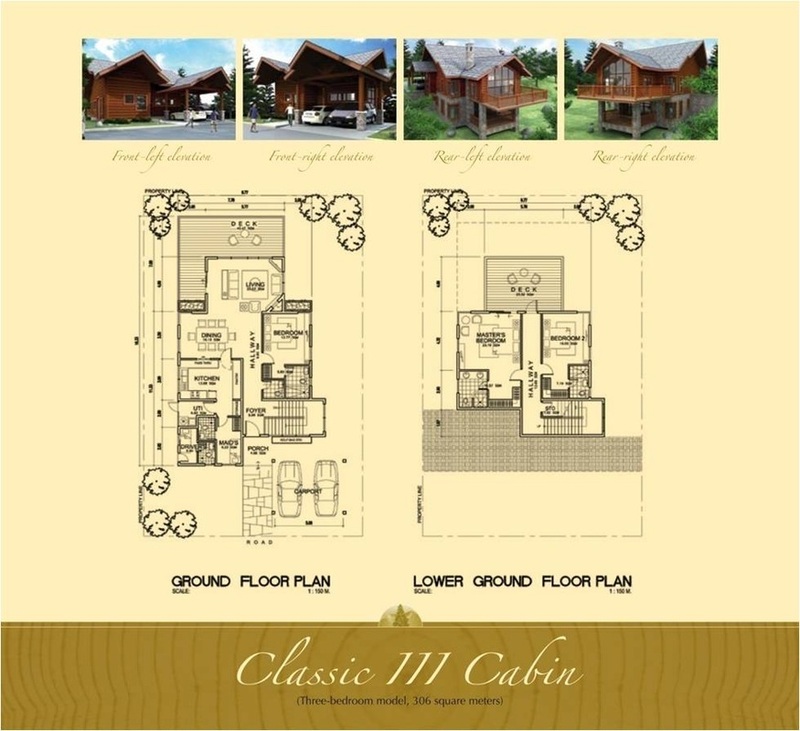 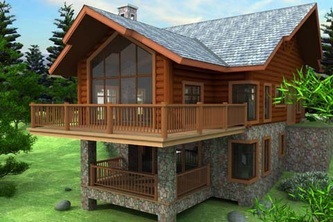 The log cabins are inspired by the rustic charm of North American luxurious log cabins and enhanced by Western red cedar accents and elegant detailing of glass and stone. Red cedar wood finishes are from Canada. 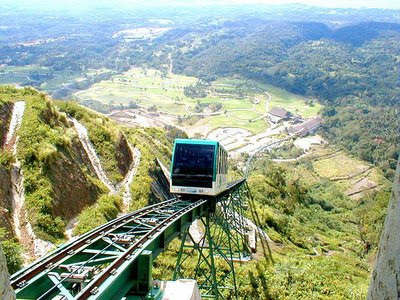 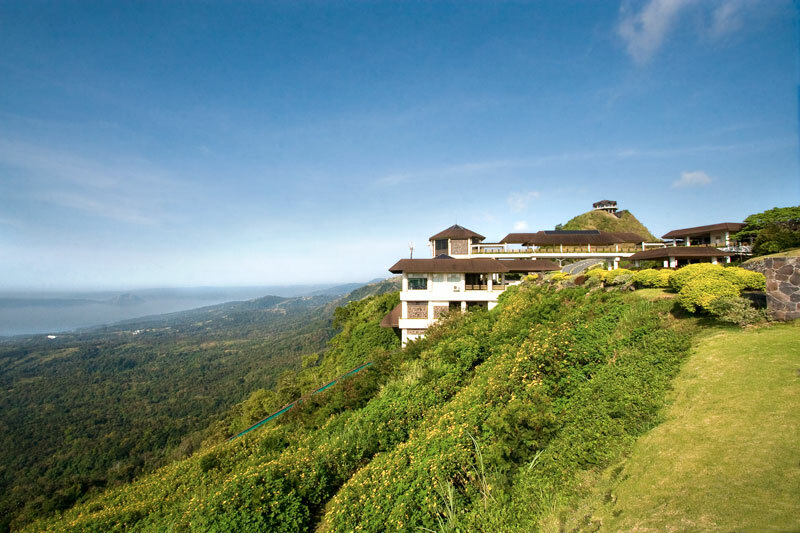 It is overlooking the Highlands golf course, the Country Club, Laguna de Bay, The Canlubang countryside and the surrounding mountains. 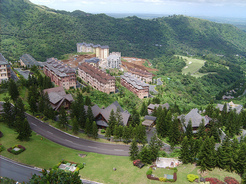 Bearing the distinct imprint of Highlands Prime properties, sixty such homes of imported Western red cedar and stone masonry lie in the crisp mountain air amid the scent of pine trees. 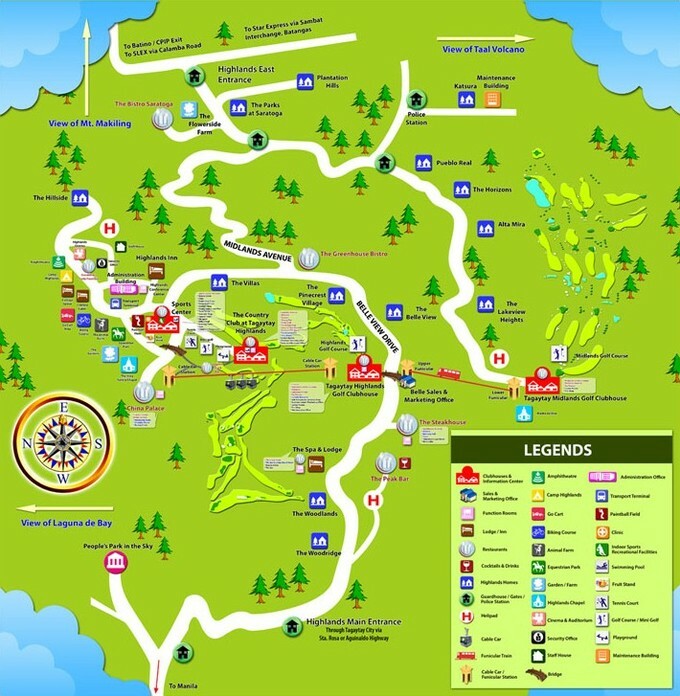 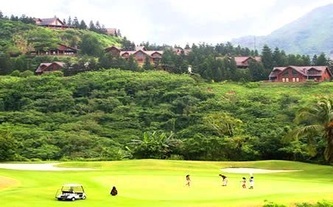 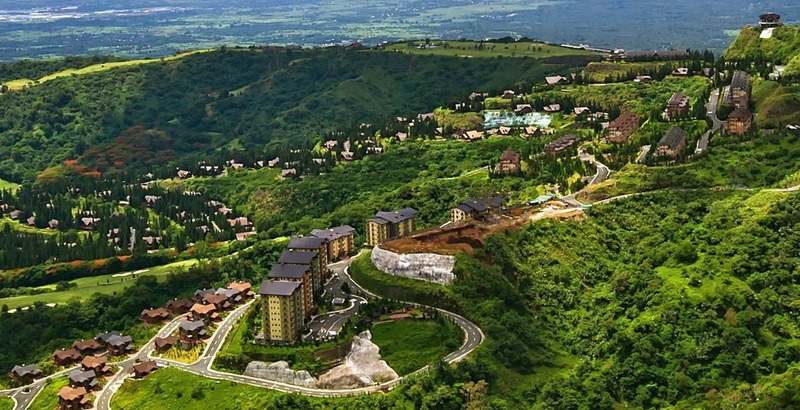 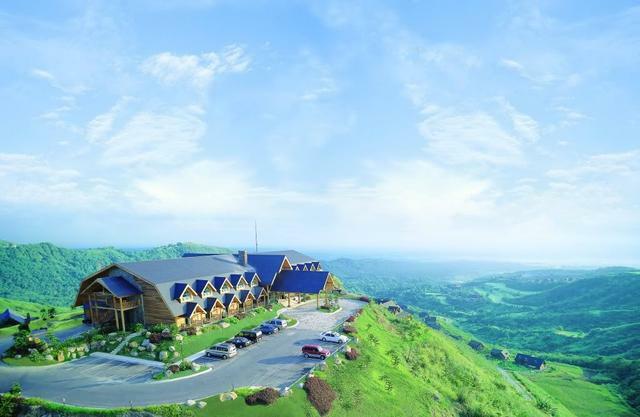 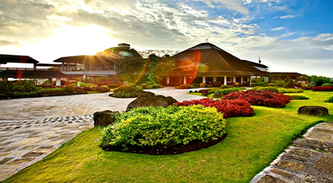 Overlooking towering mountain ridges and just above Fairway 15 of the Tagaytay Highlands golf course, far, far away from the maddening crowd and frenetic urban living, one is lord and master of all he surveys in his own rustic log cabin at The Woodlands Point. Pine trees, grown in the community’s own nursery, are an integral part of the landscape, while decorative plants and shrubs form natural fences, providing private living spaces. 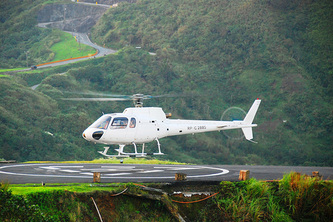 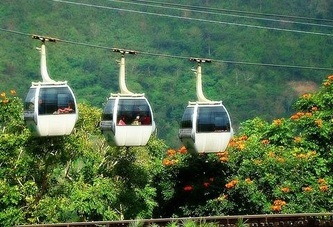 Simply gaze at the view of the Woodlands, the Highlands Golf Course and the surrounding lush mountains, and one senses an immediate wave of calm and serenity. 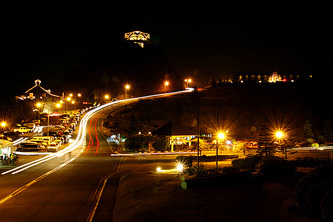 Time moves differently here. The sunsets seem longer; the weather, cool and fresh all year-round. 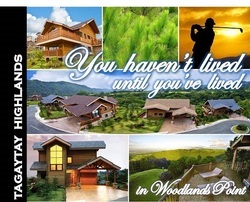 Overlooking towering mountain ridges and just above Fairway 15 of the Tagaytay Highlands golf course, far, far away from the maddening crowd and frenetic urban living, one is lord and master of all he surveys in his own rustic log cabin at The Woodlands Point. 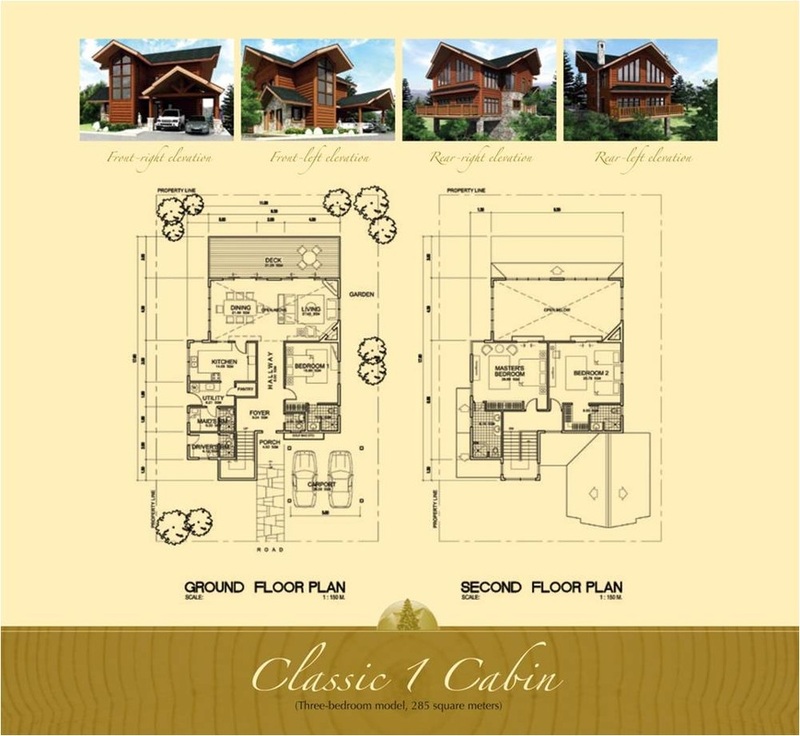 Bearing the distinct imprint of Highlands Prime properties, sixty such homes of imported Western red cedar and stone masonry lie in the crisp mountain air amid the scent of pine trees. 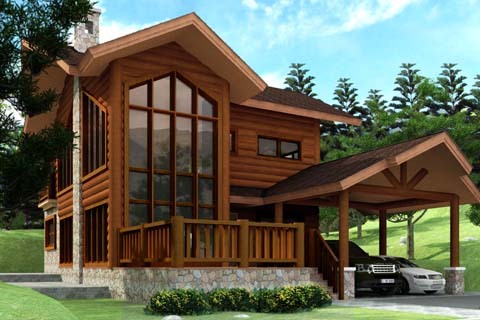 Inspired by log cabins of old in North America, Recio+Casas Architects designed each home with high, wide picture windows oriented to choice panoramic vistas for each of the single-detached units sprawled expansively across 12 hectares. Every room breathes luxury — from the central rooms’ high-ceilinged living and dining areas to the large bedrooms with walk-in closets and en-suite toilets and baths. 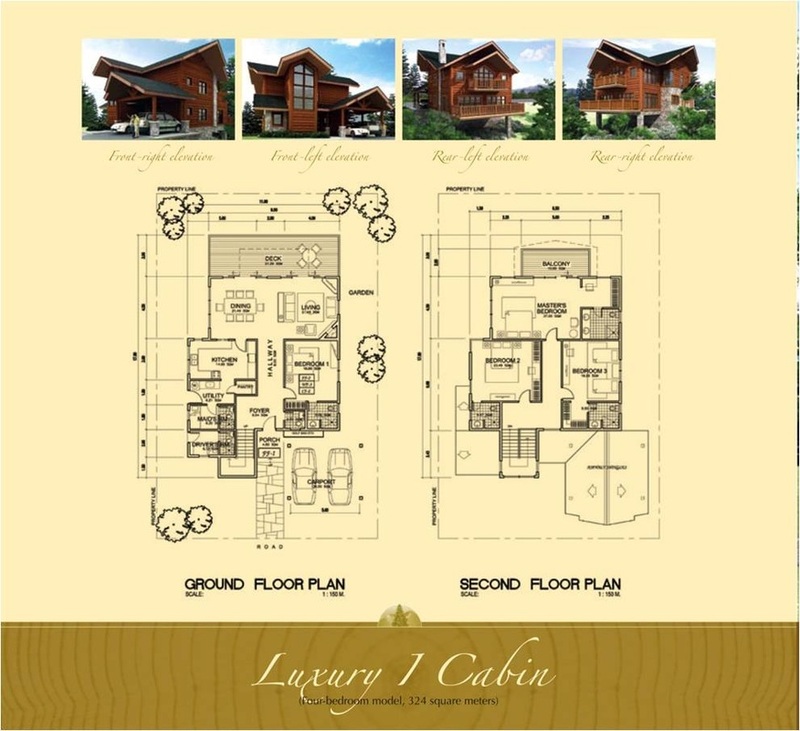 The semi-furnished kitchen boasts of a complete cabinet system, and modern refrigerator, oven and cooking range, and a range hood. 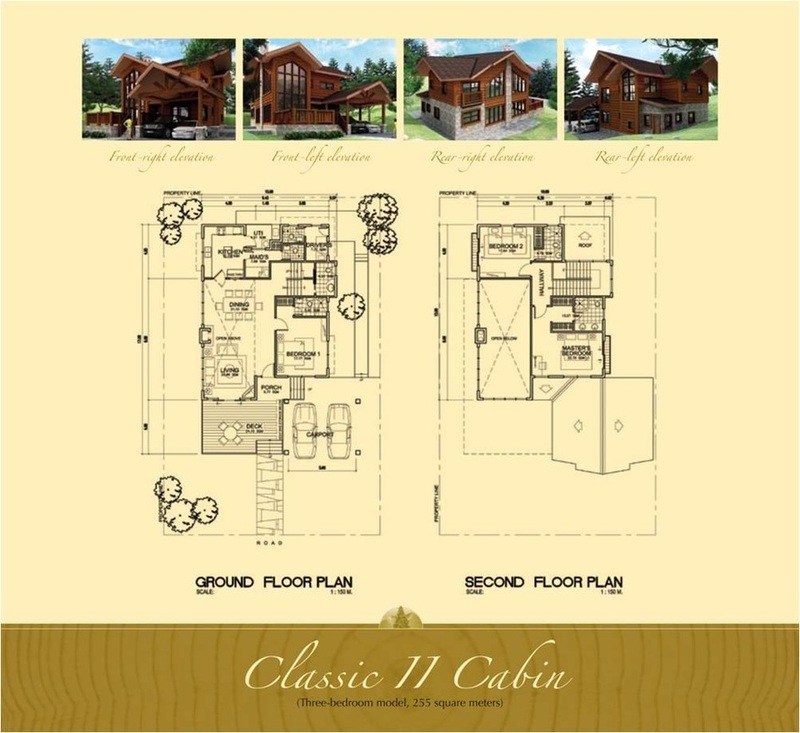 Classic models come in three-bedroom units, and four bedrooms for Luxury models, each with a maid’s room and driver’s quarters, both convertible to guest rooms. 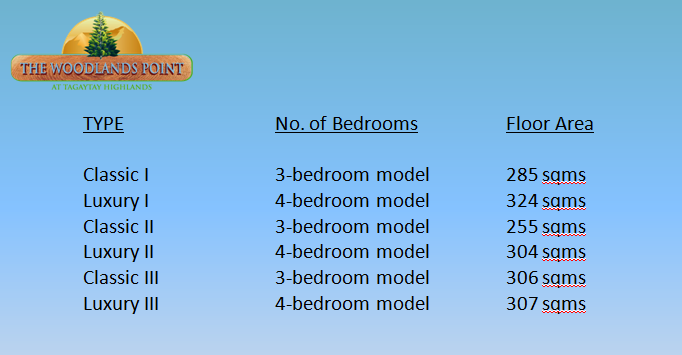 Floor areas range from 250 to 325 square meters. 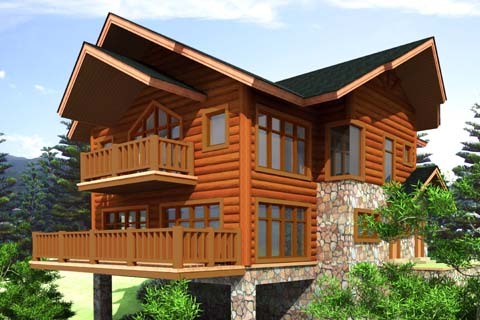 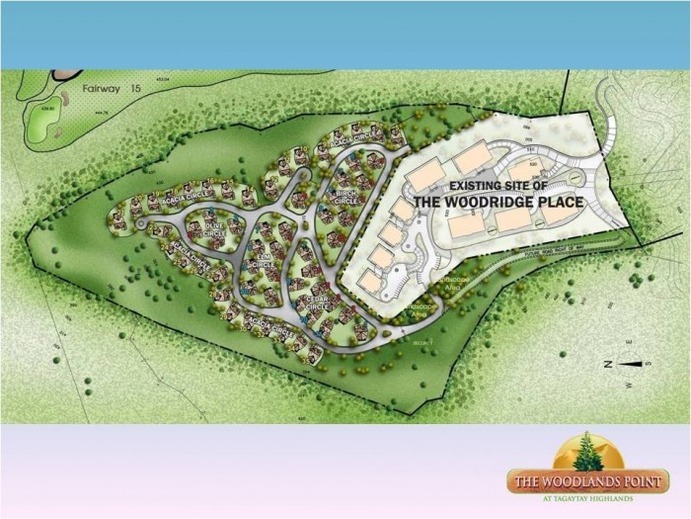 Engineered wooden floors, heat and smoke detectors, and a state-of-the-art reticulation system to ensure the homes are termite-free and in excellent all-weather condition — all features look to a lifetime of happy, idyllic mountain resort living. 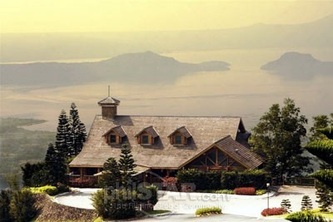 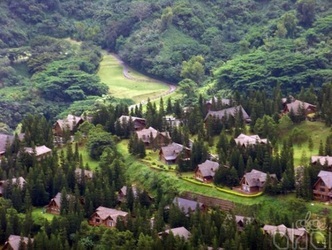 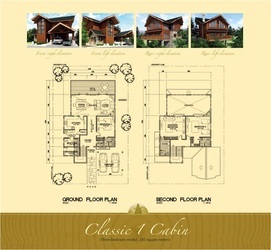 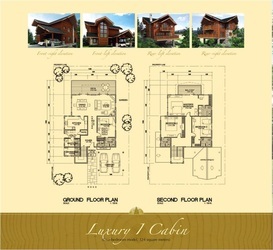 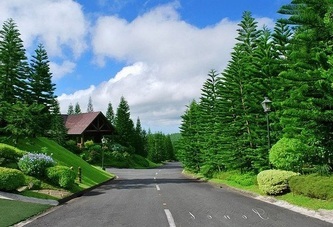 For the privileged few who expect nothing but the best, the log cabins of THE WOODLANDS POINT in Tagaytay Highlands offer a highly exclusive and distinctive resort community lifestyle in a one-of-a kind environment, meticulously planned and executed to provide an atmosphere of pure relaxation and comfort. 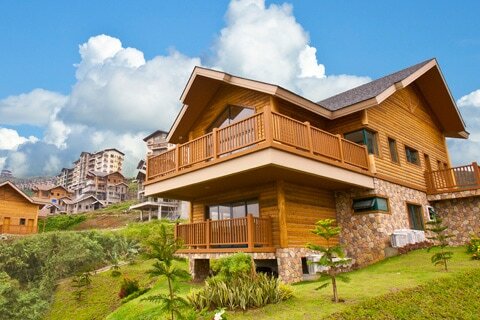 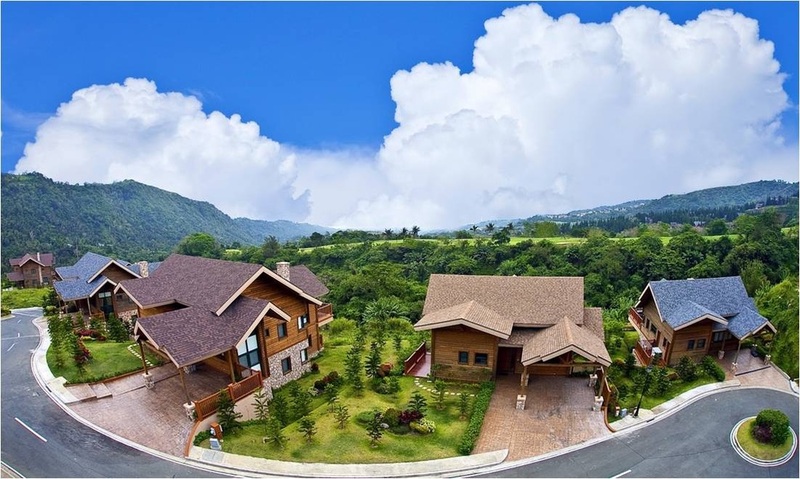 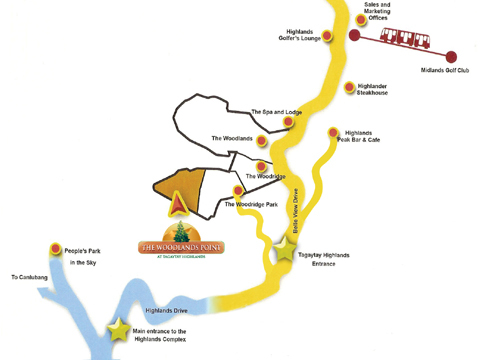 Set amidst hundreds of growing pine trees, and enveloped by Tagaytay's cool, misty weather, its innovative, secure, termite and mess-free modern log homes provide families with the ideal setting for their weekend getaways where they can be at peace with the world and be close to nature.